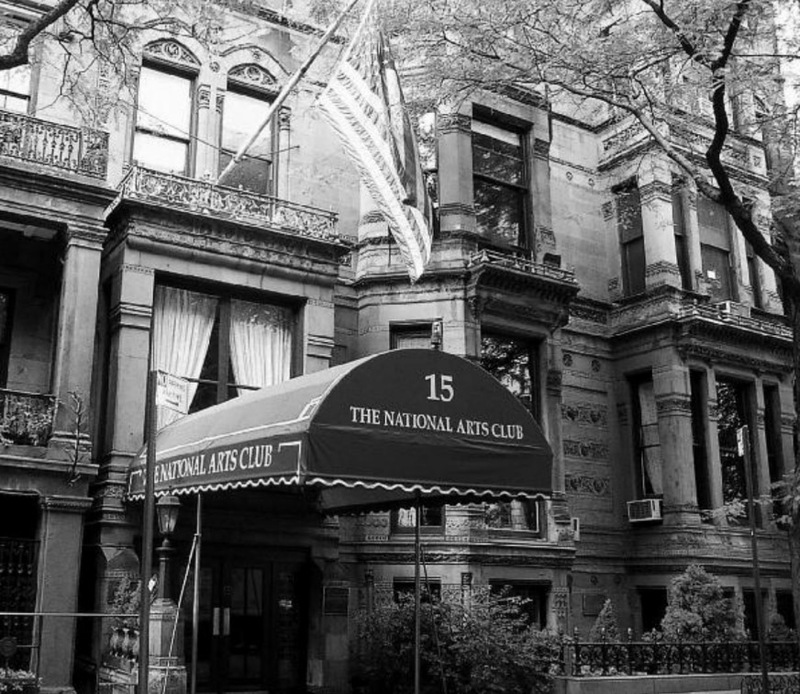 Dual exhibition of the artwork of Jill Krutick and J. Steven Manolis at the National Arts Club, NY, October 2018. It is my great honor and privilege to have a Joint Exhibition with my long-term business and artist colleague Jill Krutick at The National Arts Club during the month of October, 2018. Jill and I worked together at Solomon Brothers during the 1980s. She was an incredible financial analytical talent with exceptional people skills, a sure-fire formula for professional success, which she became many times over. That business excellence continues today as she is one of the five Board seats at National Amusements, which controls CBS and Viacom. During Art Basel Miami, 2014, after a two-decade long absence, we were reunited in our second careers as Artists! Since then, we have been inseparable in our art lives and careers. We speak almost daily and share almost everything in our endeavors. I love her painted work and feel she is a modern day fusion of American Impressionist, Mary Cassatt and New York School Abstract Expressionist, Helen Frankenthaler. Her color-based abstract work sings to me and always successfully communicates her implicit message in a most professional way. In short, an extraordinary modern talent! Jill and I have coordinated and curated our color-based NAC show for nearly fifteen months. We are both excited to present our vision to you. In the world of art, Joint Exhibitions are amongst the most difficult to pull off... and as they say... "By George, we have pulled it off!" 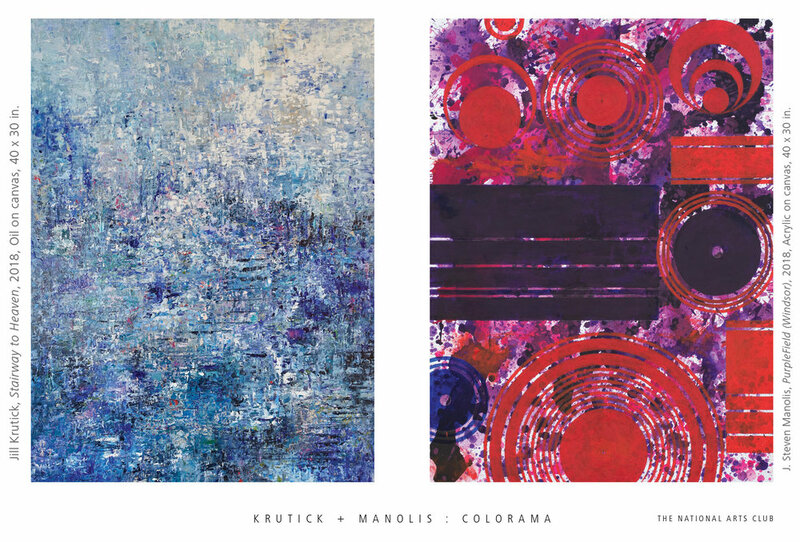 COLORAMA is a professional exhibition by two close artist friends who are "holding hands" in the pursuit of their own unique approach to color. Bruce Helander, noted art historian, educator, critic and White House Fellow for the Arts, will make comments at approximately 7:30 PM. In order to optimize attendance, our Opening Reception has been set for Wednesday, October 3rd - a peak New York City month - starting at 6 o'clock PM so that people can come directly from work. This Exhibition is open to the public. You are cordially invited, and we are eager to see and visit with you on this joyous occasion.